Johann Kaspar Mertz (1806-1856), originally from Pressburg (today Bratislava), lived and worked in Vienna from 1840. This city was the focal point of the musical world during the first half of the 19th century. Mertz was one of the best-known guitar virtuosos of his time, composing brilliant works for his own use on his numerous concert tours. In these compositions, he orientated himself on the romantic piano music of Mendelssohn, Schumann, Chopin and especially Liszt, but the influences of Italian Belcanto in the style of Donizetti or Bellini can be clearly heard as well. Many guitarists and composers of the 19th century used instruments with an expanded range. Mertz changed from a six-stringed guitar to an instrument with eight strings, finally settling on a guitar with ten-strings. Rapha�lla Smits, the Belgian Grande Dame of the Guitar, uses two historic French instruments for this recording (by Mirecourt c1827 and by Roudhloff c1830), as well as an eight-stringed instrument by the luthier John Gilbert. The present recording features the grand fantasias 'Harmonie du soir' and 'Le Romantique', the latter of which has provided the title of the CD. 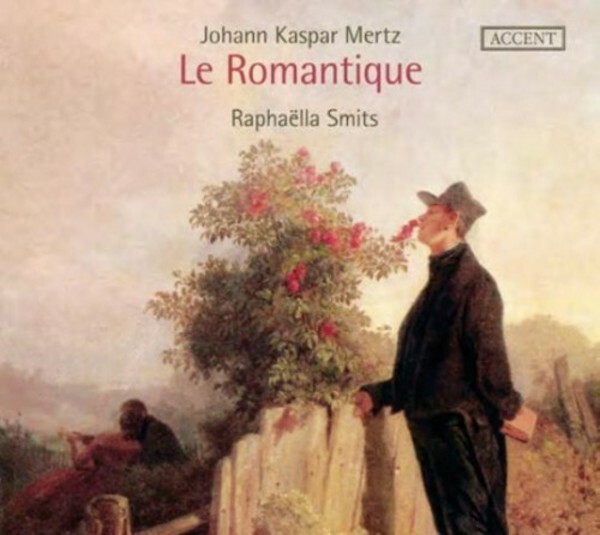 Alongside several other works, some of which were published posthumously, Rapha�lla Smits has also recorded Mertz's transcriptions of six Schubert Lieder, influenced by Liszt's Schubert transcriptions for piano, and the listener completely forgets that these works once had texts.